Josée Bélanger is a Canadian soccer player who plays for FC Rosengård in the Damallsvenskan. She is also a member of the Canadian national team. She has won a regional gold medal with Canada on two occasions, first at the 2004 CONCACAF Women’s U-19 Championship and subsequently at the 2010 CONCACAF Women’s Championship. She has about 35 International Caps and 6 International Goals. She speaks French and English. Her father was born in Vermont (but grew up in Coaticook) while her mother was born in St-Isidore-de-Clifton, QC. She was five years old when she started playing for Coaticook. She enjoys crossfit and anything artistic, her favourites have included Lionel Messi. She earned a degree in kinesiology from Université de Sherbrooke. She is one of several players that participated in FIFA Live Your Goals festivals ahead of the FIFA U-20 Women’s World Cup Canada 2014. 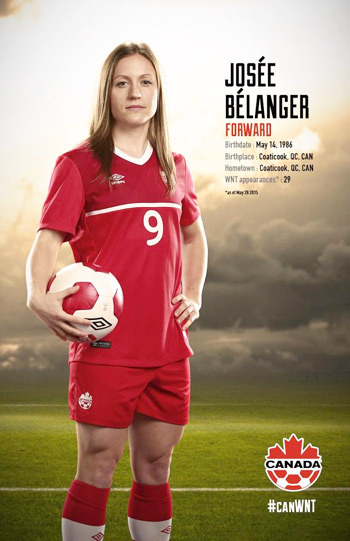 Josée Bélanger is an exceptionally talented Canadian soccer player. She is in conversation with Namita Nayyar, President Women Fitness. Ms. Namita Nayyar: You were five years old when you started playing for Coaticook and also enjoyed crossfit. 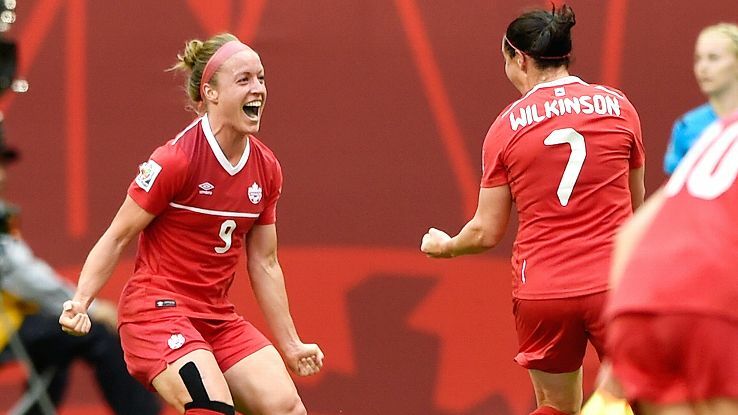 You participated in FIFA Live Your Goals festivals and later played in FIFA U-20 Women’s World Cup Canada 2015. You reached the pinnacle of success on winning a gold medal for Canada at the 2010 CONCACAF championship. What factors you consider were responsible that made you achieve that? Ms. Josee Belanger: I play with passion and I work very hard on and off the field. It hasn’t always been smooth sailing, but the most important thing was that I stuck with it and persevered through all the obstacles in my way (injuries, especially) to achieve what I wanted most – to represent Canada at a World Cup! It’s not always easy being an athlete (there are plenty of ups and downs), but when you’re working towards a clear goal and have a vision in mind it’s easier to be disciplined. It’s all about balancing what you want the most versus what you want now. I started going to Crossfit in January 2012. It really helped me get into better shape after the serious injury that forced me to miss the 2011 Women’s World Cup. What I like about Crossfit is that you get to train all body parts; sometimes in endurance, sometimes with heavy loads. It’s always a different workout so you always get excited to see what it’s going to show on the board, and that’s when you realize that you can achieve way more than you thought you could. The feeling you get when you’re finally able to lift that heavier weight or successfully pull off a new stretch is amazing. You feel proud of the fact you were able to surpass the boundaries you thought you wouldn’t break! It helped me build confidence and mental toughness on my path to the FIFA Women’s World Cup.